Welcome to the northernmost capital in the entire world! Though the country has ‘ice’ in its name and is often snow-covered, Reykjavik is boiling hot property right now. With almost three times the population descending annually on this tiny country in the northwest Atlantic, clearly everyone wants a piece of this country and Reykjavík is the natural starting point. We can totally understand why, too. 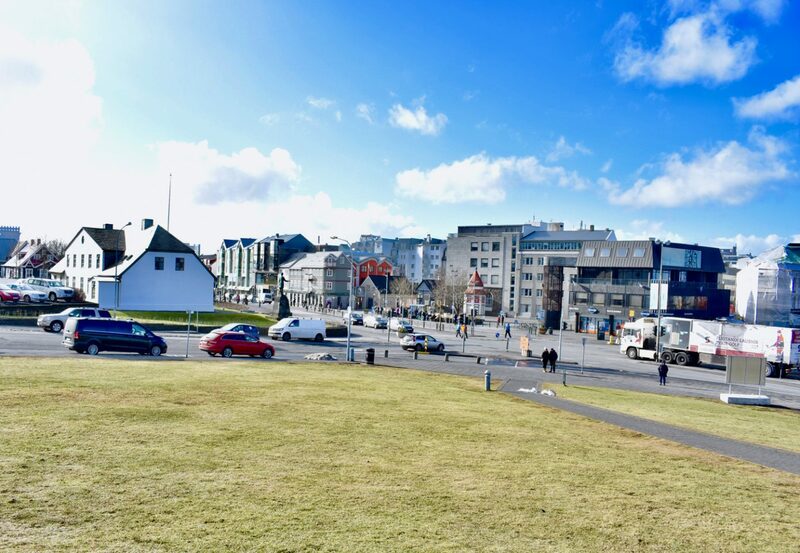 With the flag carrier Icelandair and no-frills budget airline WOW Air both offering the possibility of a no-extra-cost stopover for transatlantic flights, here’s why 48 hours in Reykjavik is a must and how we suggest spending it! 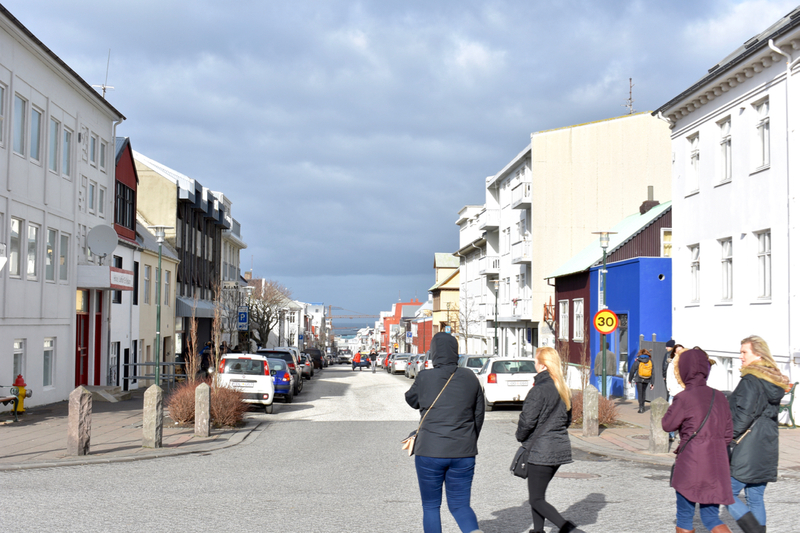 Let’s just say it outright, though: while we absolutely loved visiting Reykjavik, we understand that the onslaught of tourism is starting to cause issues domestically, as residents try to keep up with demand. We recommend, both for the locals, and for your own sense of wanderlust, to visit Reykjavik as well as another part of the country. Take an internal flight to the likes of Akureyi in the north, drive around the south of the island or take an extended break around Iceland’s Golden Circle sites, such as a night or two near the Secret Lagoon at Flúðir. But while you’re in Reykjavik, you’re in for a treat. 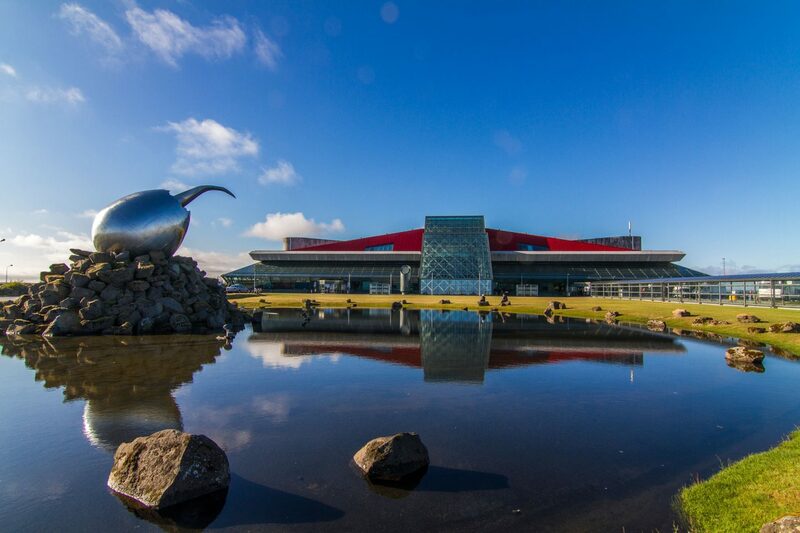 First off, it’s almost certain that you’ll arrive into the country at Keflavik Airport, which is situated about 45 minutes outside the city and is the island’s main international airport. Though, as a small, relatively new nation you might not expect Icelanders to be so flight-focused, but, interestingly, Iceland is the country with the most airports per capita in Europe, quite possibly in the world. Since there’s one major ring road around the entire island and lots of impassable mountain ranges, waterfalls, sheer drops and unsuitable conditions for driving some of the time, flying makes getting from A to B easier and more reliablein Iceland. The more you know! There is also a smaller, domestic airport on closer to the city centre called Reykjavíkurflugvöllur, or Reykjavík Airport. Depending on your travel plans, your best plan might be to rent a car. Why? Because if you plan to some exploring outside the capital, you’re probably going to need wheels anyway if you want to do it by yourself. Secondly, because you’ll have to make a return trip to the airport anyway, and picking up the car at the airport and dropping it off in the same place makes simple sense. 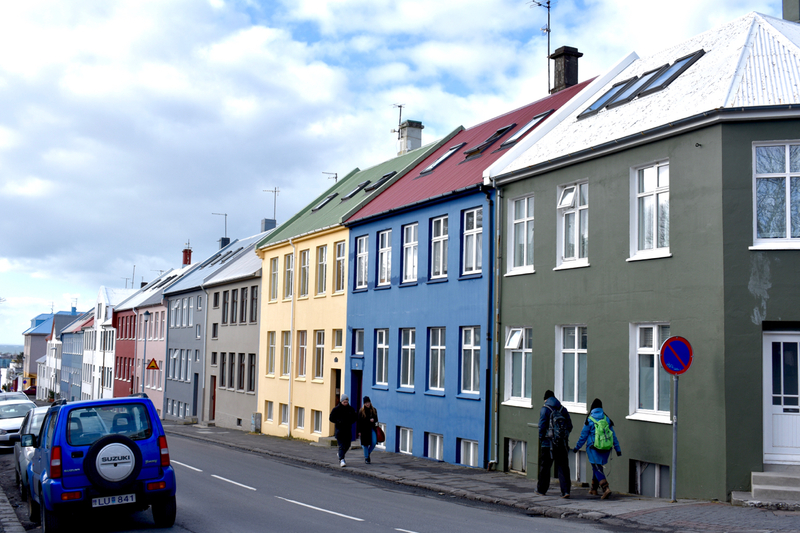 However, if you’re staying in situ in Reykjavík city centre, the bus can be your best option. Bus services are targeted and marketed for visitors, and thankfully will stop off at pretty much every hotel requested. A journey with Reykjavik Excursions (Flybus) or Grey Line costs the equivalent of about €20/£25 per person one way, €40/£45 return. Airbnb has become almost a pest in the city. It’s transformed the accommodation offering in this compact 120,000-person city, but it’s also become its own beast. It’s skyrocketing actual rents for locals and it’s taking valuable real estate and marketing it solely for visitors and not for locals. 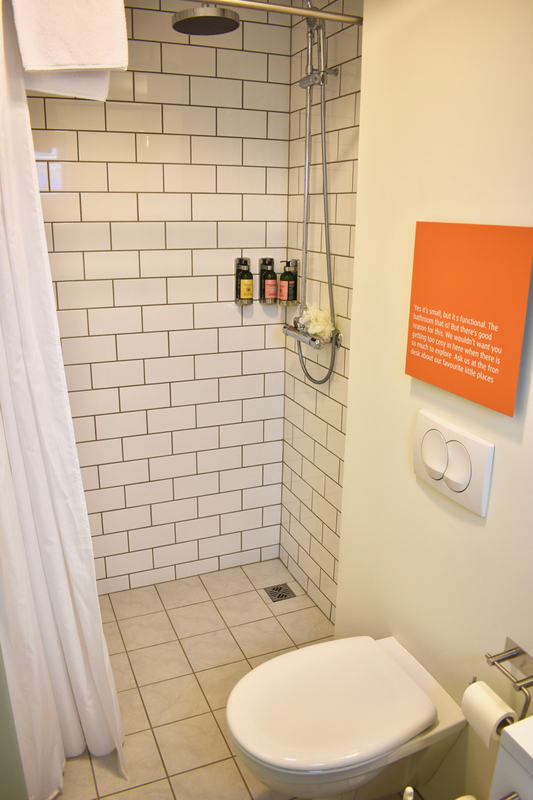 However, if you want to use a short-term accommodation rental site like Airbnb, you can of course do so. 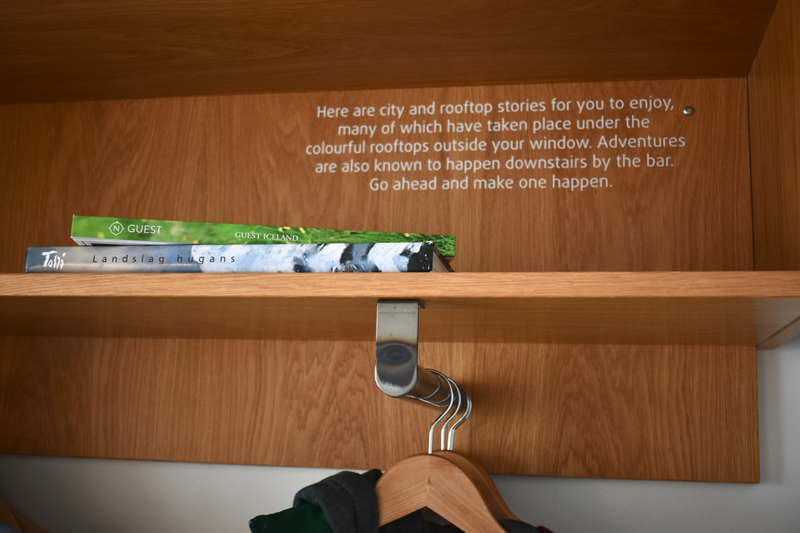 We liked the ease, structure and community aspects of staying in hotels whilst we were in Iceland. In Reykjavík, we adored the Icelandair Marina Hotel. Opened in late 2015 and located right on the seafront within a minute or two’s walking distance of the heart of the city centre, it’s a perfectly positioned hotel in the capital. Set in two former historic houses, now merged together into the hotel, one of the properties was historically known as Daniel’s House and was the residence of a famous shipbuilder. 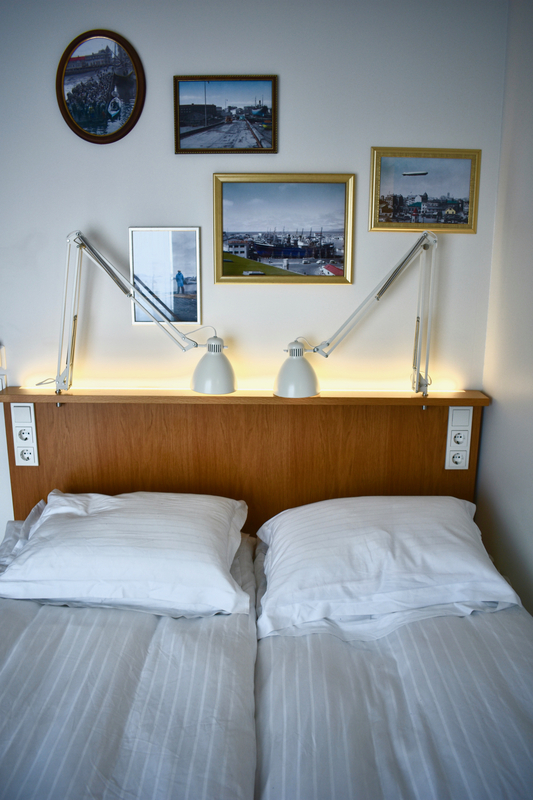 The focus of this hotel, which is part of a group of really high quality Icelandair Hotels, is on high-class comfort and décor, mixing local details (shipyard relics, music memorabilia) with international design flair. A roaring fire pit welcomes guests to this expansive hotel, where the bar Slippbarrin takes centre stage and makes some exceptional cocktails. It’s always busy! We also loved the glass-walled ground floor gym and the study and private rooms, where you could do some work in a little more serene space, enveloped in big comfortable armchairs and surrounded by books. There’s also even a cinema screening room! One downside – there are few parking spots nearby so you might have to go closer to the water to get parking along the pier. 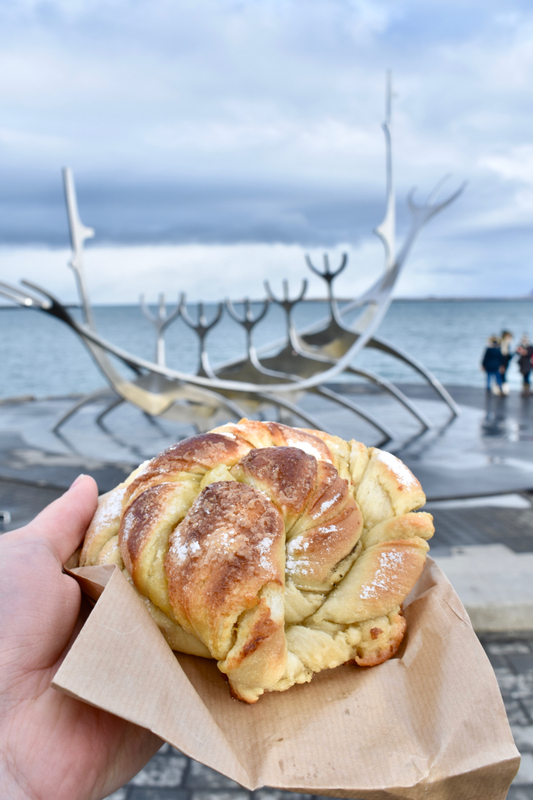 So, now you’ve arrived in Reykjavík, got your bearings and a place to lay your head down, here’s what to see, do, eat and drink in the city! 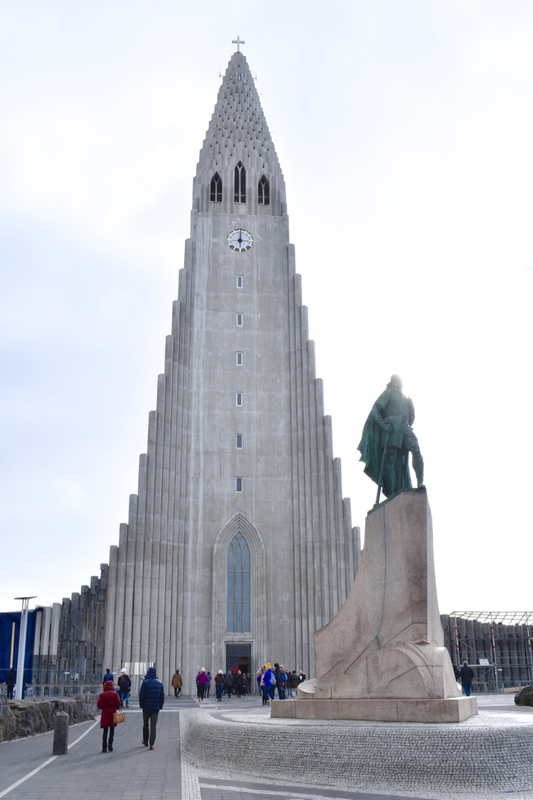 Now that you’re settled, go see the structure that punctuates the Reykjavík skyline and one of the most stunning churches we’ve ever laid eyes on. Hallgrímskirkja is a Lutheran church designed by state architect Guðjón Samúelsson and it’s still a baby in church terms – it was only finished just over 30 years ago! Commissioned in 1937, work began in ’45 and it opened in 1986. At 75 metres (245 feet), it’s the tallest church in the country and until recently the tallest structure in the country. Though this is Samúelsson’s most recognised work, it was also his final work and he sadly never saw completion, he died in 1950 – five years into building. As Iceland’s first formally-trained architect and architect for the state, his iconic designs included the National Theatre, the University of Iceland and the Akureyrikirkja, the main church in Iceland’s second city, Akureyri. Many of his designs were inspired by the geology of Iceland and he wanted to create an ‘Icelandic style’ of architecture. You can go inside the Church for free to see the beautiful interiors and the electric organ but access to the tower and viewing platform costs 1000 ISK (about €8). Opening hours are 9am-5pm in winter time and 9am-9pm in the summer time (May to September), with closures during Mass time on Sunday’s between 10:30-12:15. 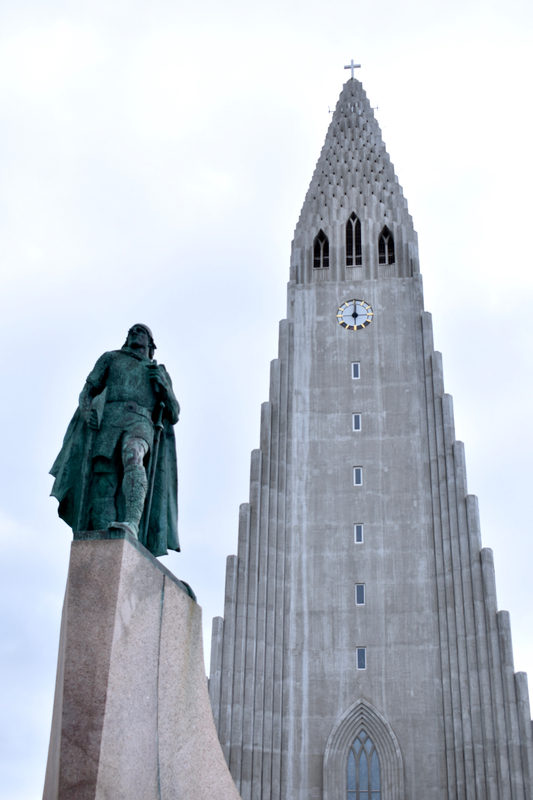 Though the statue of Leif Eriksson stands gallantly outside, as if protecting the church and his country, the two are actually unconnected. 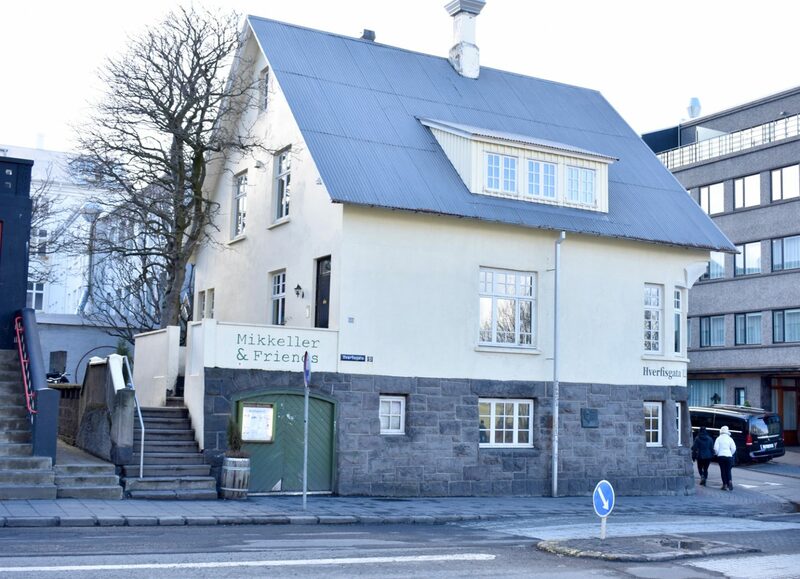 The statue predates the church and was a gift from the United States in the 1930s to celebrate and mark 1,000 years of the Icelandic parliament – it’s the oldest parliament in the world! 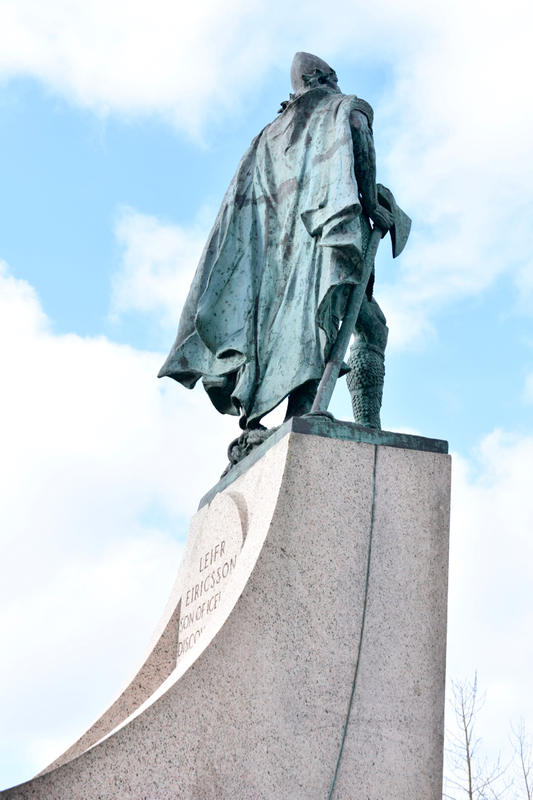 Handy, as the I Heart Reykjavík Walking Tour starts right here at the statue of Leif. 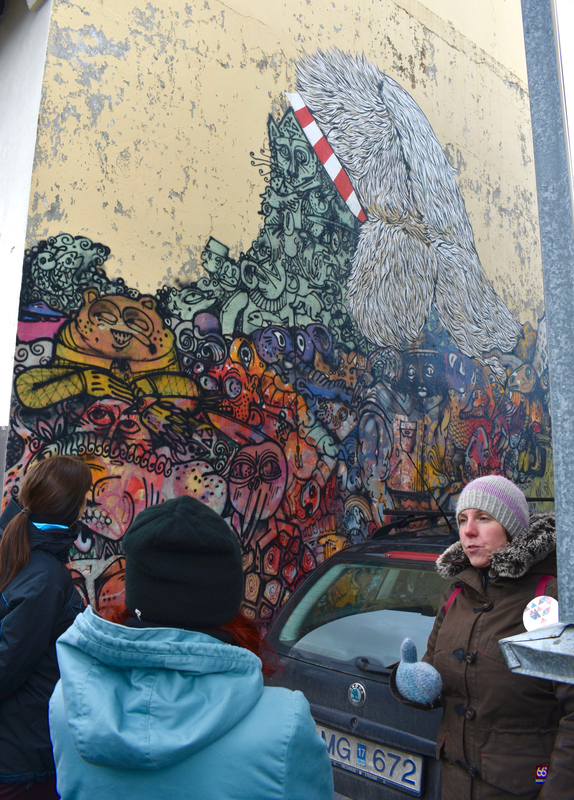 Taking place almost daily, these informative walking tours led by locals were began by a successful and enterprising blogger Auður Olafsdottir – so it naturally piqued our interest most from the many, varied tours offered in the city and we booked two spots right away. On a brisk, but bright and dry Tuesday morning in March we were led around the city by the funny and informative Ásta and Ólöf, who, with permanent smiles on their faces, kept us informed, entertained and enlightened throughout the course of the two-hour walking tour. 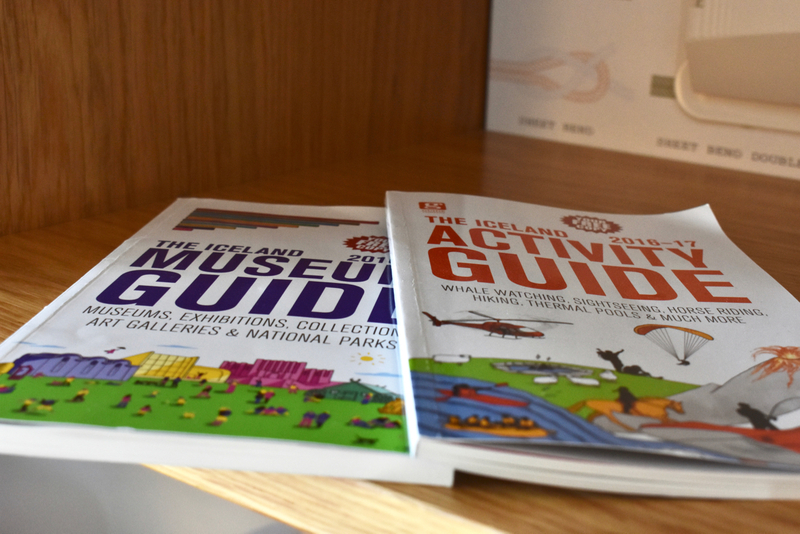 The guides tell you a little about the history of the city whilst pointing out some key things to see, quirky things to notice, street art aplenty and suggest some of the best places to eat and drink in Reykjavík’s lesser-known restaurants, cafes and bars. 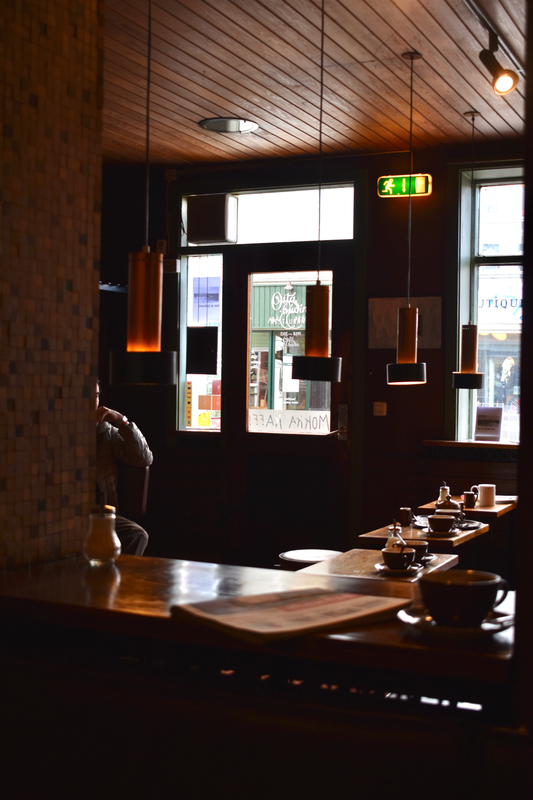 On our first evening, we arrived pretty late (as we flew from Stockholm to Reykjavík) and were starving by the time we had checked in and dropped our stuff off, so we went in search of something quick and satisfying. 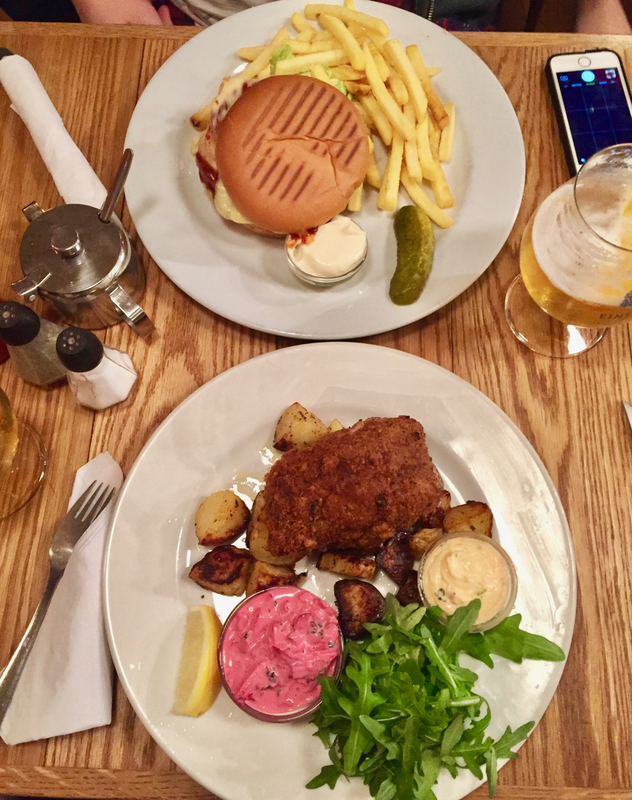 The Laundromat Café is a Danish take on an American diner, with lots of classic comfort food options featuring lots of local produce. 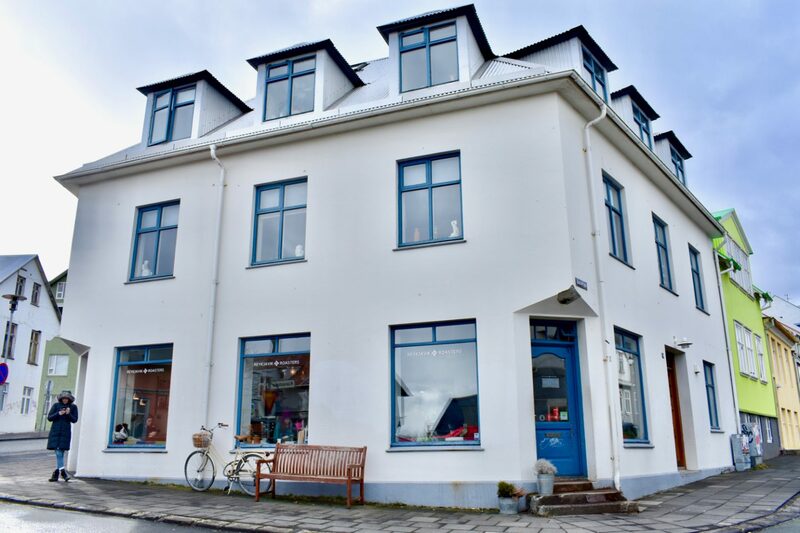 Though it began in Copenhagen and has several outposts there, it arrived in Iceland over a decade ago and this particular branch has been here on Austurstræti 9 since 2011. It’s located incredibly centrally, fairly affordable, service is good and there’s a wide selection of drinks. It’s a bit of a bar-meets-diner situation but it’s bright and welcoming, too. A nice option for that first night trying to settle in seamlessly! One of the most elegant cafes in Reykjavík is Sandholt, which is all white with beautiful interiors inside, ample space and a great menu. 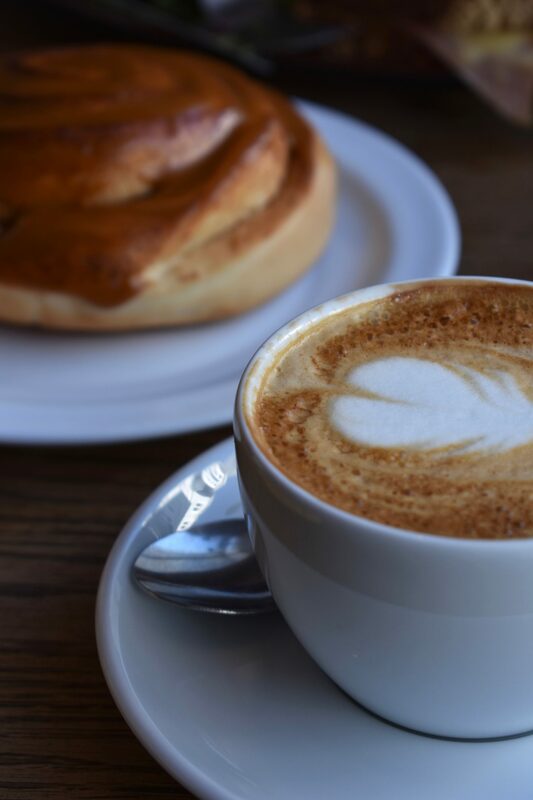 It’s a bakery and patisserie first and foremost so you will be tempted in by the freshly-baked treats in the window and at the counter. 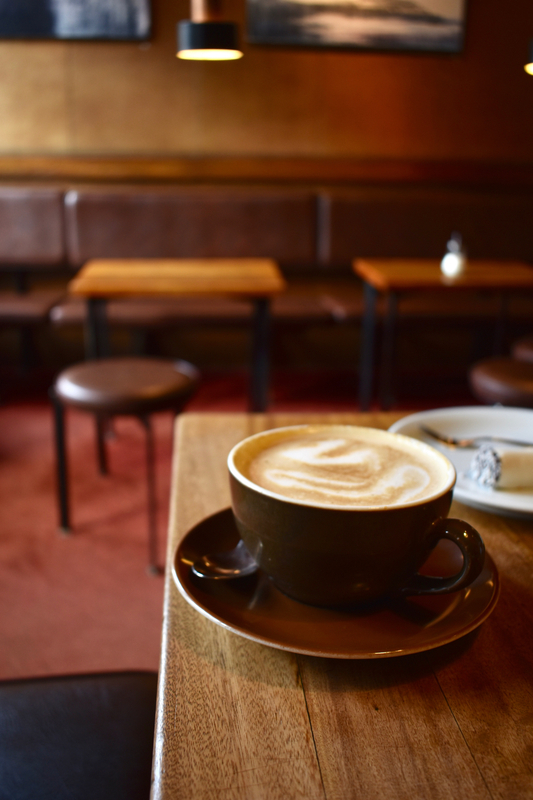 But inside, you can enjoy your treats with a hot chocolate and a warm space out of the cold. Or, you can have lunch and choose from their expansive menu. 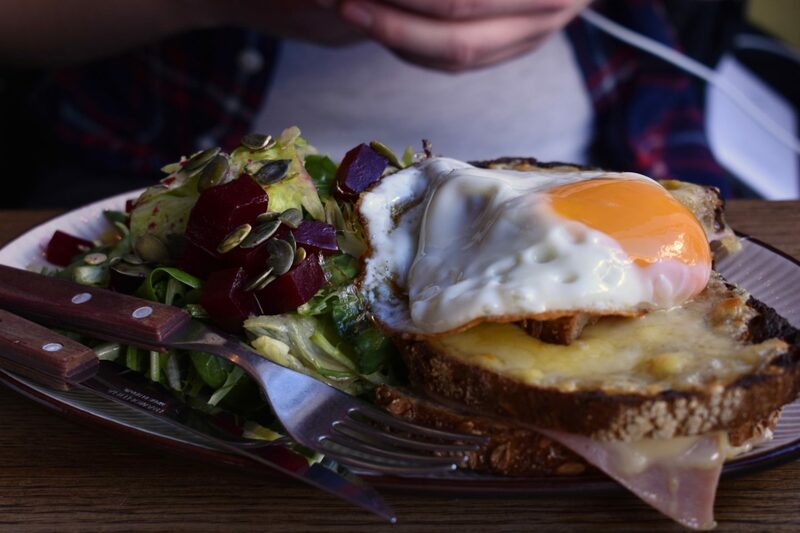 We had a croque madame and one of the daily quiche/tarts (which was goat’s cheese, if we remember right) and both came with a gorgeous, fresh and vibrant side salad which was almost a substantial lunch within itself. 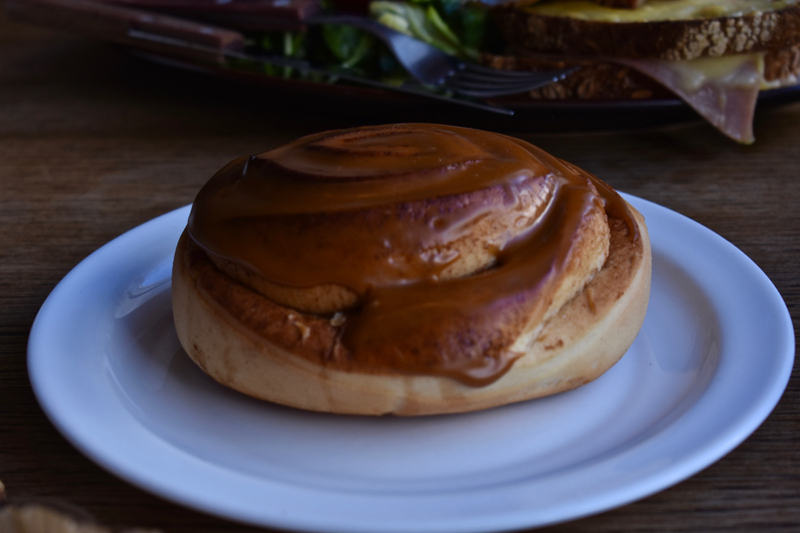 We also couldn’t resist a chance for a little fika so once finished we ordered a caramel-glazed cinnamon bun to share alongside two cappucini. 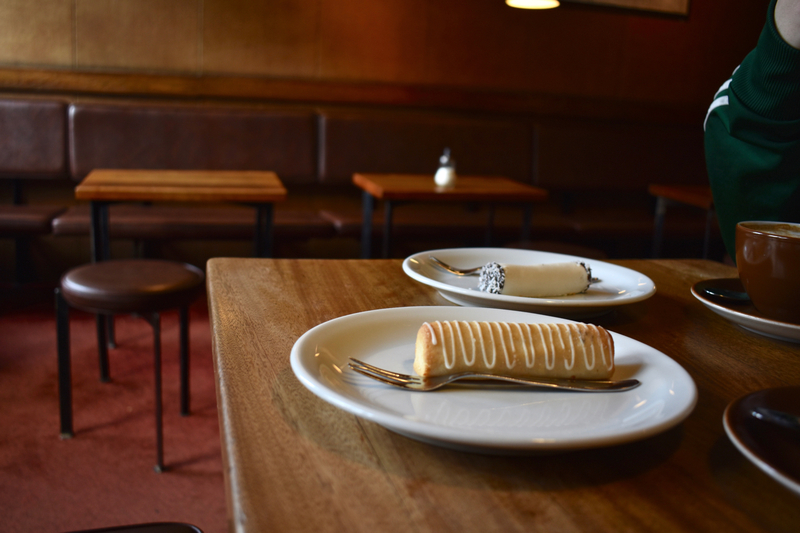 Try stopping yourself whilst exiting and going past the counter again on your way out – some of the most delicate, pretty and tempting patisserie in all of Iceland is found here, so if there’s something you really want to try, we suggest going for it! We took two of their buns on the plane with us flying back to London! 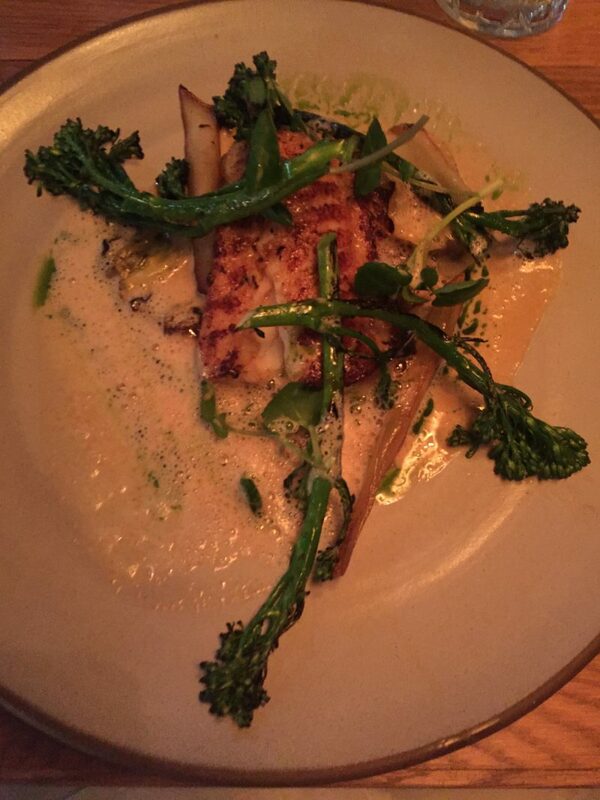 For dinner on another night, we wanted to try Michelin-starred Dill but couldn’t get a table. It’s located in the Mikkeller & Friends building, but nestled within there’s also another spot which is co-owned by Gunnar Karl Gislason. Set ’round the side entrance, climb the stairs and you’ll find a rousing little spot to enjoy some food and drinks on a below-freezing, dark Reykjavík night. Though it was absolutely packed, we managed to squeeze ourselves in and put a name on the list for a table at Hverfisgata 12, which is the restaurant and bar also known as ‘Pizza With No Name’. We choose two craft beers from the pub’s selection and cradled them for no more than five minutes before a table became available! Hverfisgata 12 specialises in gourmet pizzas with an array of inspired toppings whilst also offers an inspiring selection of snacks, starters, sides and award-winning cocktails to wash it all down! After our beers we definitely partook in a cocktail or two… each. This place is a little more high-end, happening and heftier to the wallet than your standard pizza and beer hall, but it’s seriously worth it for the vibe and the incredible flavours. Dill is the king of fine dining in the country, least of all the capital, as the sole Michelin-starred restaurant in Iceland. 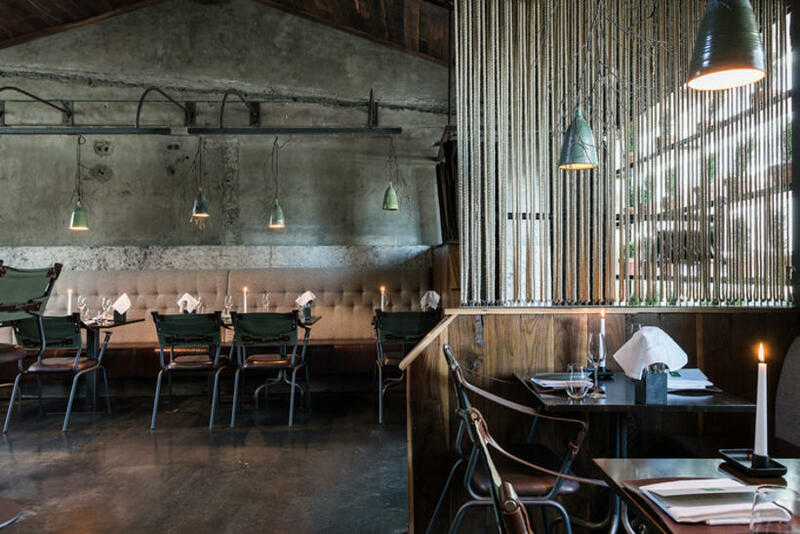 This restaurant at Hverfisgata 12 is a beacon of New Nordic cookery, opened in 2015 and led by Gunnar Karl Gíslason – though Ragnar Eiríksson is now Head Chef with Gíslason as owner. The commitment is to what surrounds the chefs, allowing humble ingredients to shine in simplicity without unnecessary accessories and embracing old traditions in their own way. They are experimental but respectful with their dishes, and the menu changes all the time – which we love. 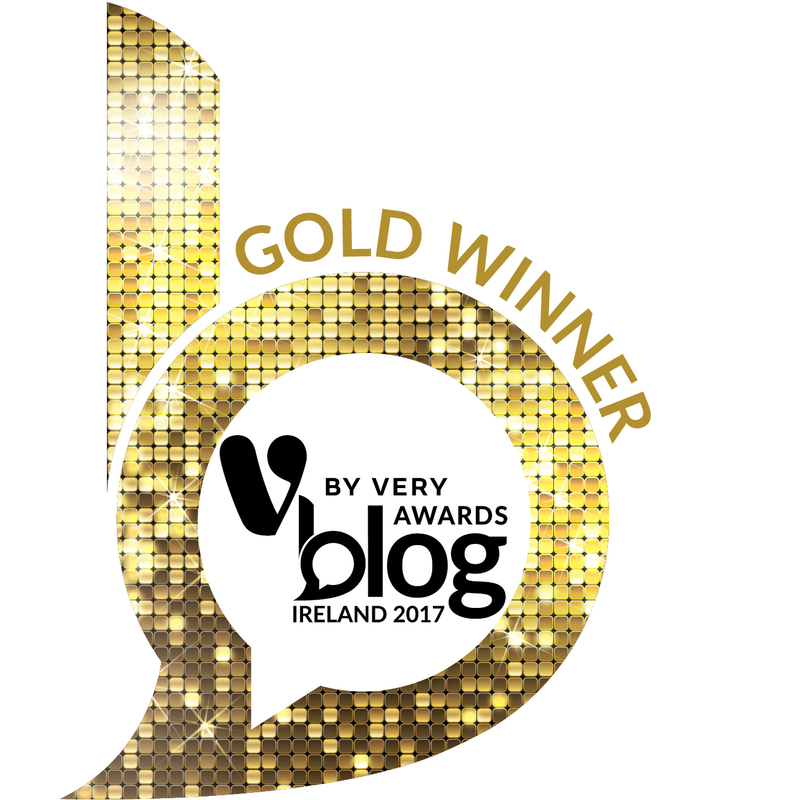 However, all said, we couldn’t get a table – we were there a week or two after they were awarded the long-awaited star in early 2017. Dill is open for reservations from Wednesday to Saturday weekly from 6pm. Where we did eat was in both Geiri Smart and Matur og Drykker, both on the higher end of the dining scale. 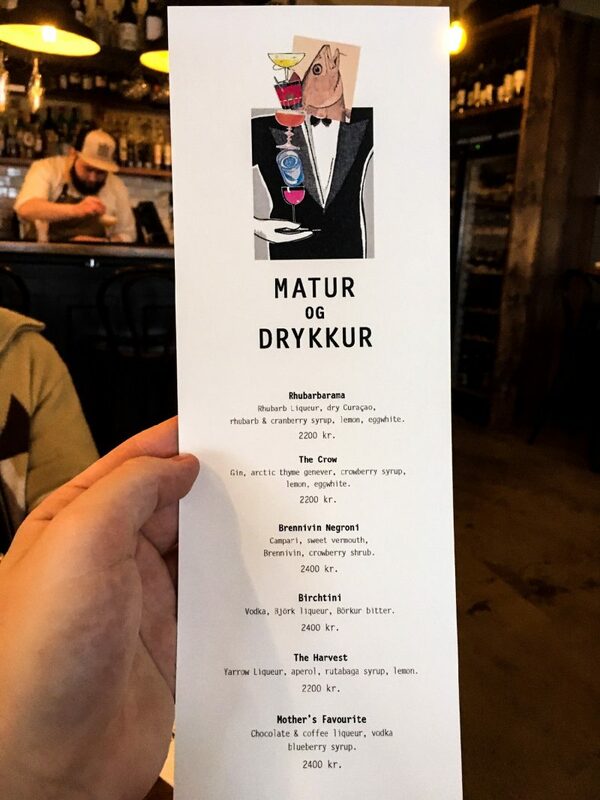 Matur og Drykker was awarded a Bib Gourmand at the same time as Dill was recognised, in early 2017. 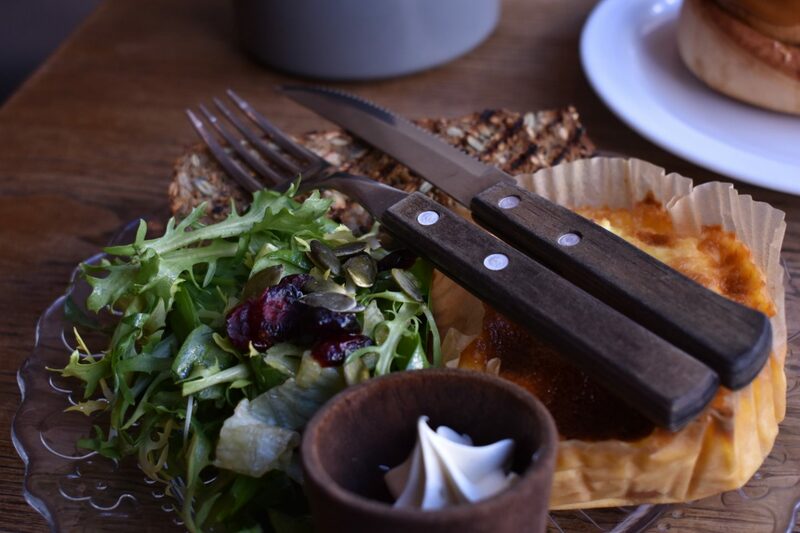 Offering an inspiring, elevated take on traditional Icelandic cuisine, the name literally translates as ‘food and drink’ and this is the place you want to go to try Icelandic cuisine in its purest form, with little modern twists. 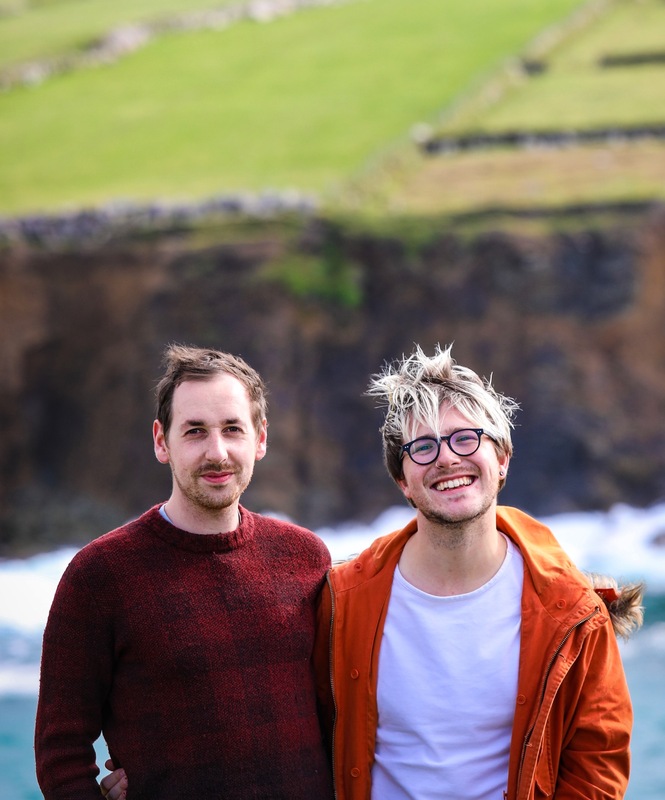 Opened in early 2015 by a young, extremely talented and interesting chef Gísli Matt (whose family also owns Slippurinn), the restaurant is located in a former salt fish factory at Grandagarður 2 in the up-and-coming harbour area called Grandi. Though, Gísli left 18 months after opening due to differences over the future vision of the restaurant and just before the restaurant was Bib-awarded. “Let tradition surprise you”, they exclaim and we enjoyed the ‘Icelandic’ tasting menu when we dined here. 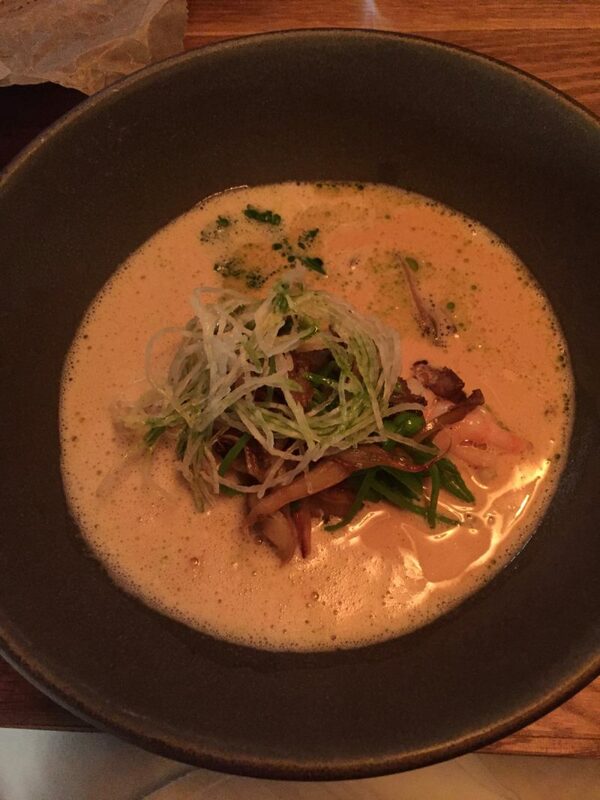 There’s also a vegetarian set menu and a fish set menu, but you can order from an à la carte, too. For us, the starter was a board of nibbles to share with smoked lamb and buttermilk, and salt fish with whey butter and pickled dulse. The next course was a stand-out and this restaurant’s signature dish – halibut soup with mussels, apples and raisins. 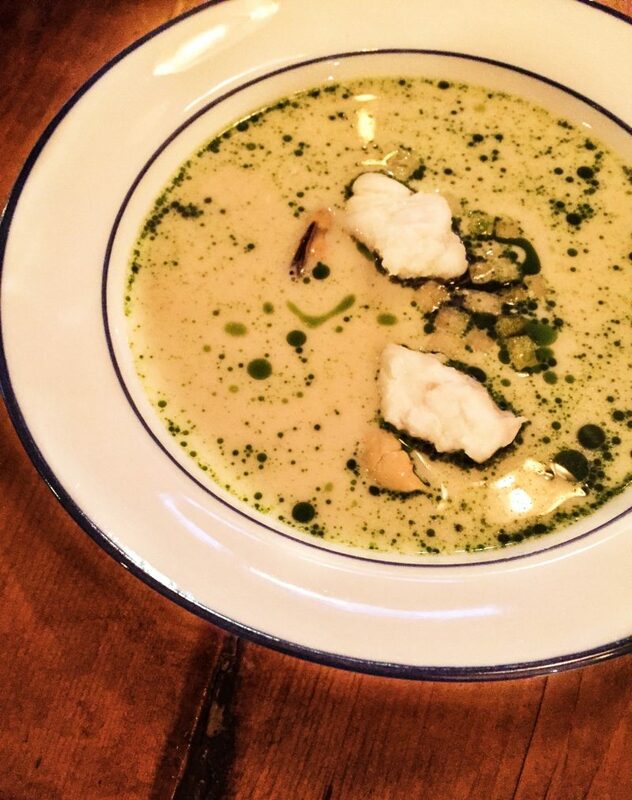 It’s a vision in vibrant green and ethereal white, a soup dish that’s unlike anything you’ve ever eaten before. Side note: if you watched Rick Stein’s Long Weekends travel programme, this is the dish Gísli demonstrated. Lamb features more throughout and is the main dish, followed by desserts of skyr with blueberry granita and oats followed by Icelandic twisted doughnuts with caramelised whey. Sensational! 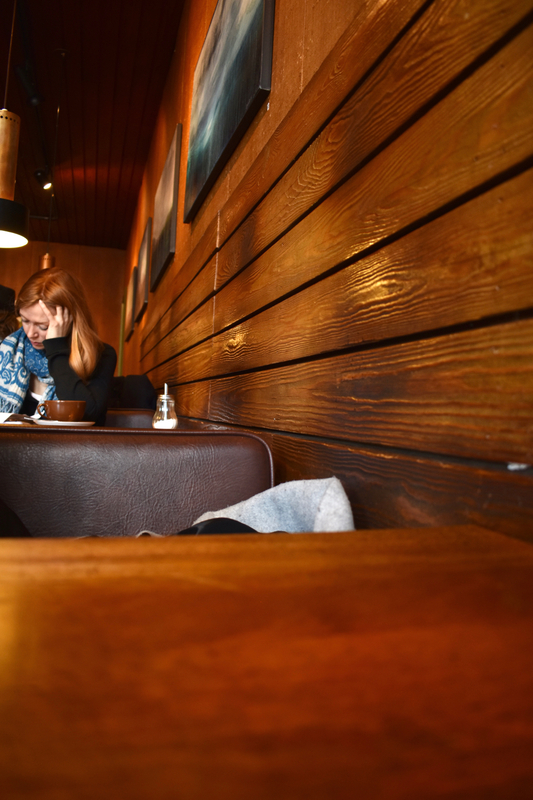 The Icelandic menu is 9.990 ISK, which is roughly €80/£70 per person – a little pricey, but worth it. 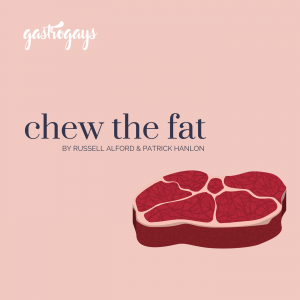 There are ‘off the record’ dishes (not on the menu, but available) as well as ‘now playing’ set menus which feature what the chefs are playing around with in the kitchen at any given point in time, always focusing on freshness, availability and seasonality. They also serve weekend brunch which is order-from-the-menu rather than the buffet style brunches usually found in Scandinavian and central European restaurants. 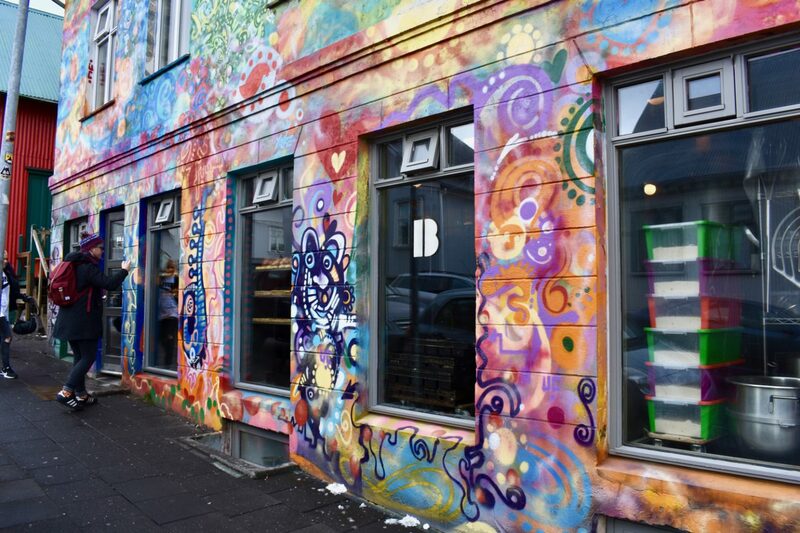 You cannot come to Reykjavík and miss Braud & Co.
Braud & Co. is a bakery institution, and you’ll spot it for two reasons – the colourful graffiti artwork on its exterior and the massive queue out the door and up the street at pretty much every opening hour! Here’s where to get some of the best Nordic-style pastries in the city, in what could be described as where pretty French patisserie meets Viking rawness. 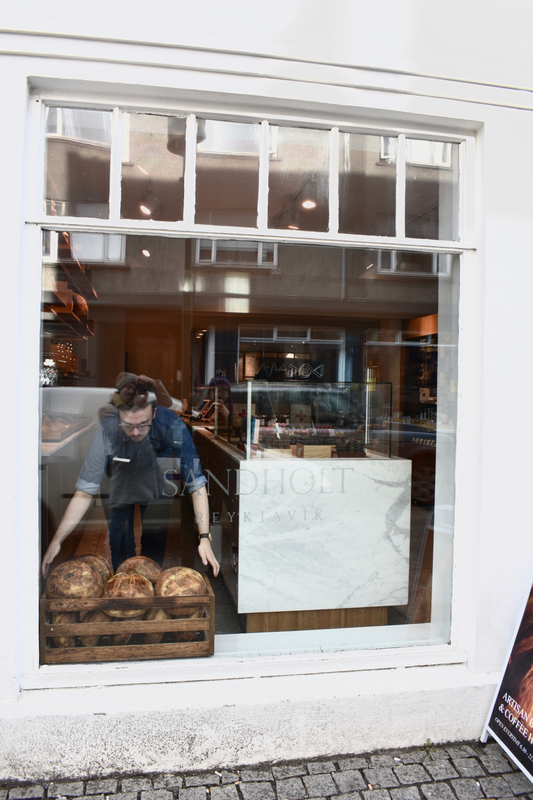 Everything is done simply, with such love and in plain sight – you can even watch the bakers at work. 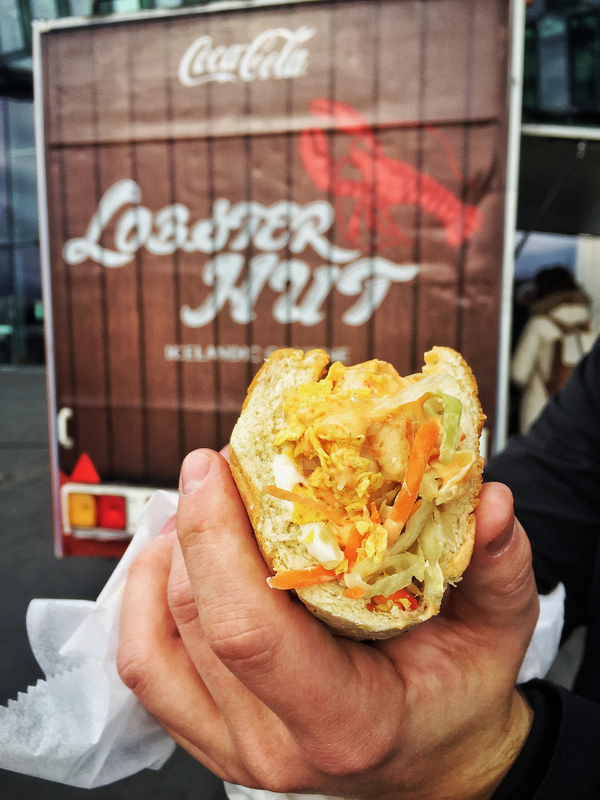 Outside the Harpa Museum, in all its glass-tiled glory (well worth a walk around to absorb the dazzle of it all) you will often find a little shellfish truck called the Lobster Hut. You must go there and you must have humar (lobster). It’s cheap, fresh, delicious and they are incredibly friendly. 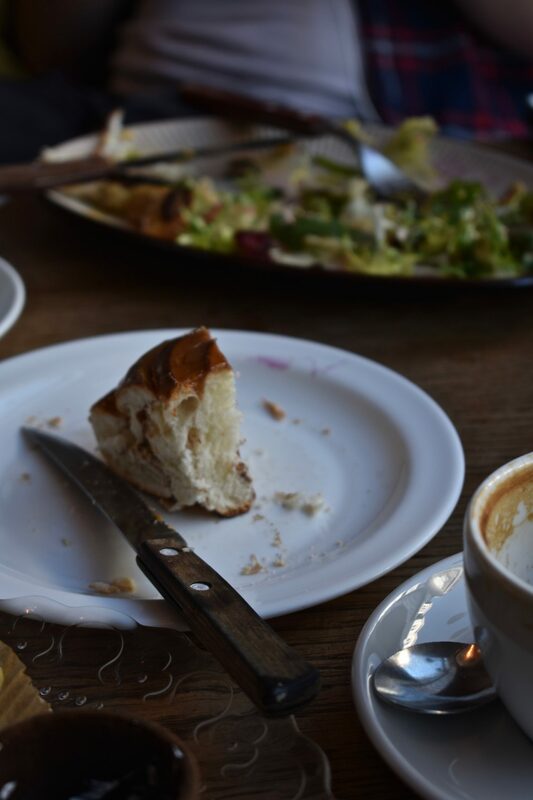 We split half a sandwich and it was one of the most beautiful and simple things we ate in Iceland. Really great as a snack on-the-go! Another fishy suggestion is Icelandic Fish & Chips. Now, we know what you might think: why would two guys from Ireland/the UK want to recommend anyone to go seek out fish and chips on the other corner of Europe when there are chip shops everywhere where we’re from. Understandable, but this is the best equivalent in Reykjavík. So good, in fact, they even have a branch in Manhattan, New York City. Try it – a great affordable eat in the city. Another street food institution is Reykjavík’s hot dog stand on Tryggvagata 1. A mouthful in more ways than one – the name of this place is ‘Bæjarins beztu pylsur‘, which literally translates as ‘the best hot dog in town’. Still not convinced? It’s been open at this spot for the guts of 80 years and its famous customers include former US President Bill Clinton. What’s an Icelandic hot dog, then? Well, firstly, as there’s ample sheep in Iceland it’s generally lamb meat in the sausage and the serving includes remoulade, raw onion, fried onion, sweet mustard and ketchup. It’s cheap and you might have to join a hefty queue but it’s so worth it – so good in fact, you might re-join the queue all over again! These actually served as a bit of an inspiration for our recipe: Icelandic-style hot dogs. 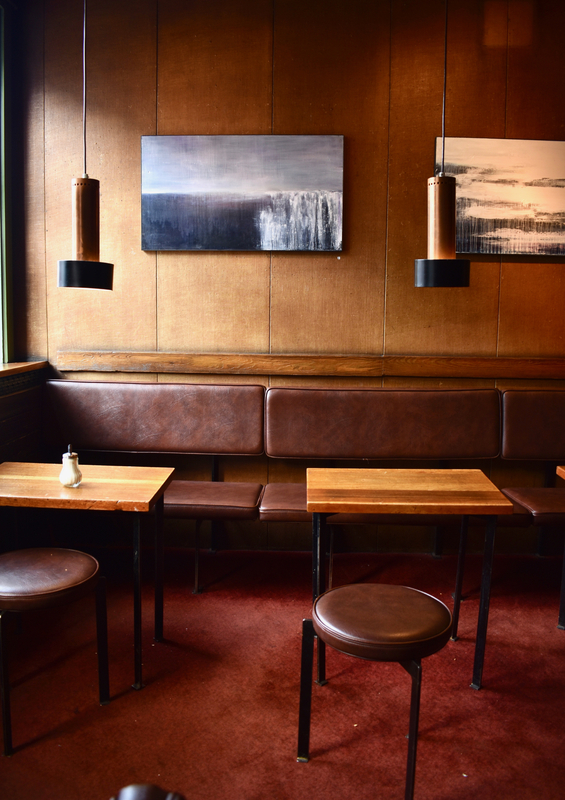 At Mokka Kaffi the interior is straight out of the Fifties and we could not get enough of this place! The only sad thing is it was literally the last stop we squeezed in before heading to the airport after a week in Iceland, we wished we could have stayed a couple of hours at least. Open on Skólavörðustíg since 1958, this is a must-see cafe for the interior alone, and the small selection of sweet treats and coffee will keep you satisfied too. No flat whites here though, as far as we remember. Good to know: it’s open every day (including Sunday), 9am ’til 6:30pm. 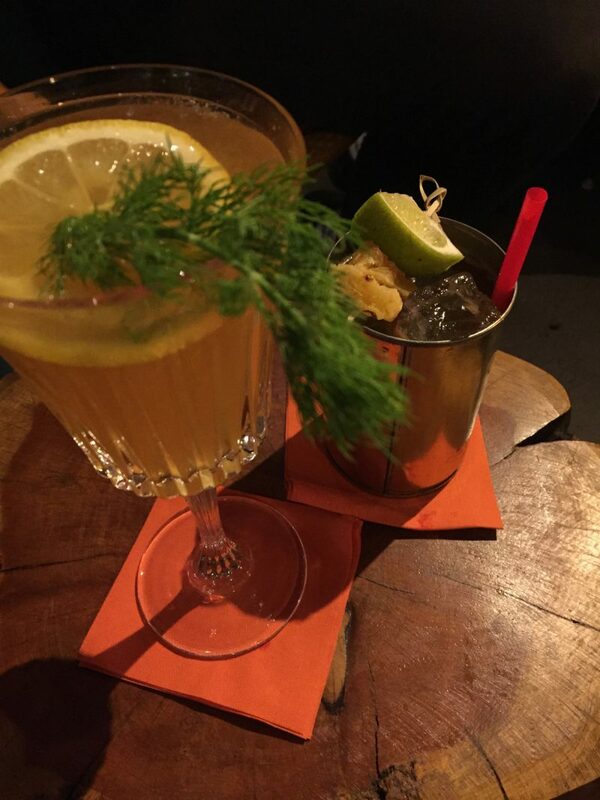 Reykjavík’s not particularly noted as a drinking destination, but over the past few years the bar scene has totally blossomed where cocktails and craft beers are concerned. 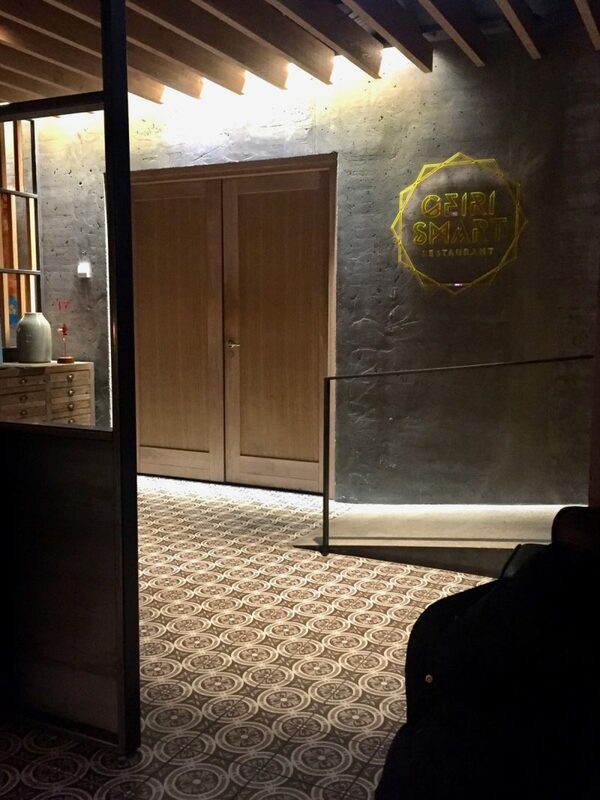 Both Geiri Smart and Slippbarrinn at Icelandair Marina Hotel are fantastic places to drink, amongst the best in the city, as is hverfisgata 12. We actually visited on St. Patrick’s Day weekend, so naturally we gravitated towards the Irish bars in the city – of which we could barely squeeze into any! We ended up having a nice few pints at The Dubliner. The Drunk Rabbit is also brilliant, and right around the corner from one another. Other great places to drink include brewery and beer bar Kaldi, Apotek (the restaurant’s cocktail lounge also offers 50% off happy hour daily between 5pm and 6pm) and craft beer bar Skúli. 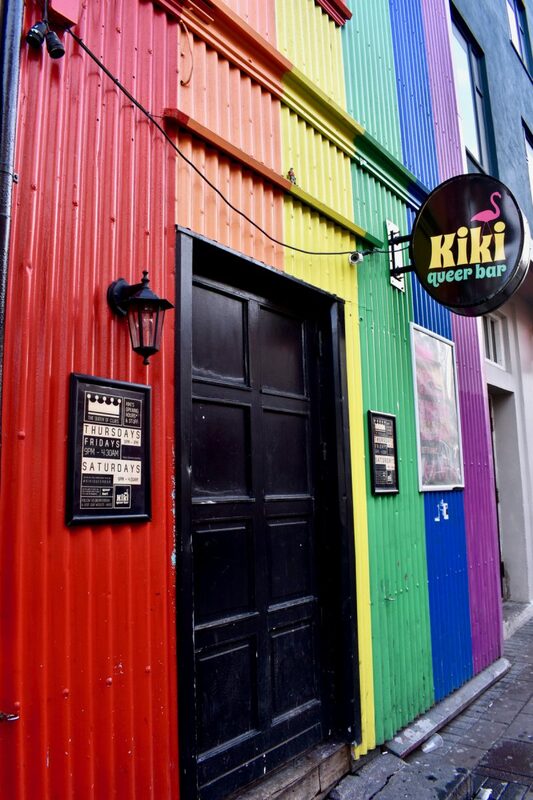 Kiki is a great little queer bar we stumbled upon, too, located on Klapparstígur. Kaffibarinn is the Damon Albarn co-owned bar that, for us, was a little bit touristy so we didn’t stop by. Iceland is extremely proud of its language – as they should be, it’s proven to be one of the most difficult languages to learn and is almost impossible for non-natives to pick up and achieve fluency. Though, in modern times with the advent of online courses, language apps and far more accessibility, who knows Icelandic could gather a large crop of more far-flung speakers of its language, yet! 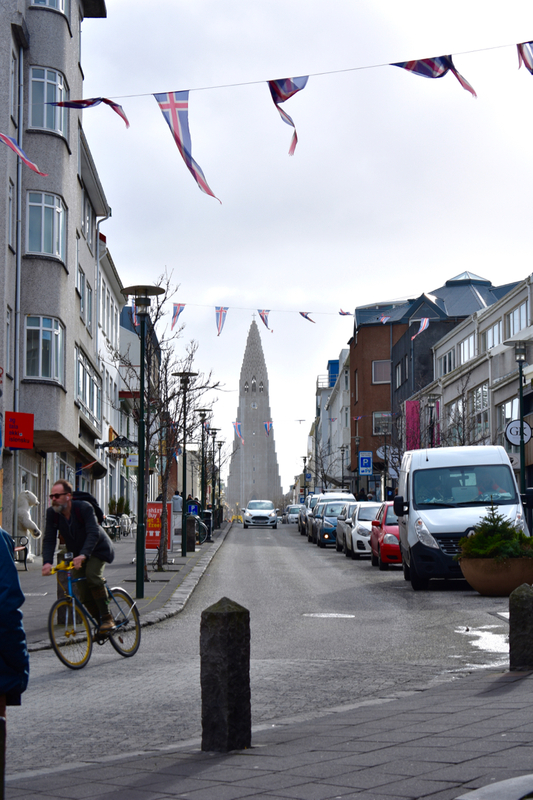 Reykjavík as a city is very comfortable speaking English and almost everyone is fluent – especially in service roles. 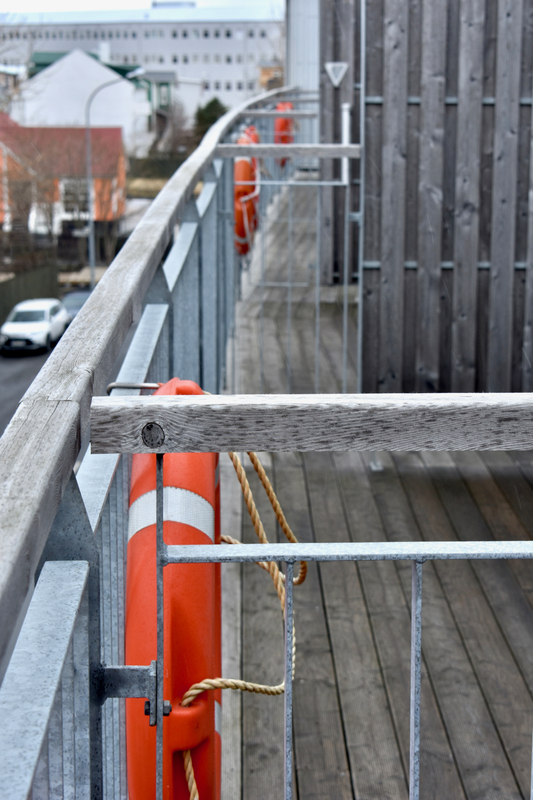 You’ll be surprised actually, and English is pretty much a second language of Iceland. As is the case with much of the Nordic countries, three things have significantly helped improve English for young people – TV, internet and publishing. From watching TV and movies, pouring over popular english language books and communicating with others on the internet, English as a language has become far more accessible and ingrained for non-english speakers.